We have written a book about the Double agent TATE, which will be published in Sweden next year. 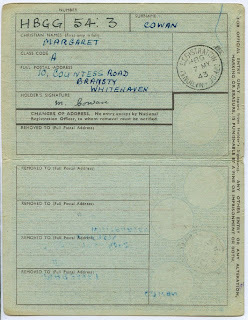 We have one chapter dealing with Britain during the war, and, furthermore, about the ID cards faked by the Germans. 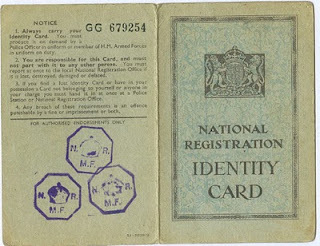 It would be nice with a photo of a genuine ID card. Would it be possible to use the one in your blogg as a book illustration?